I'm honored to be part of The Stars of Summer blog tour. Although I didn't formally review All Four Stars, I'm pretty sure I've raved enough about it that y'all can guess how exciting this is for me. So before we get into this interview, here's some info about both of Ms. Dairman's books and the author herself. Gladys Gatsby has been cooking gourmet dishes since the age of seven, only her fast-food-loving parents have no idea! Now she’s eleven, and after a crème brûlée accident (just a small fire), Gladys is cut off from the kitchen (and her allowance). She’s devastated but soon finds just the right opportunity to pay her parents back when she’s mistakenly contacted to write a restaurant review for one of the largest newspapers in the world. But in order to meet her deadline and keep her dream job, Gladys must cook her way into the heart of her sixth-grade archenemy and sneak into New York City—all while keeping her identity a secret! Easy as pie, right? 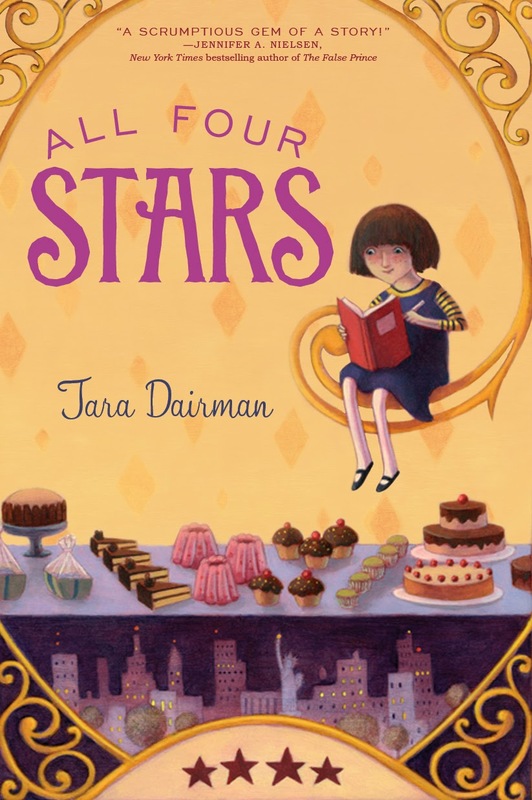 Tara Dairman is the author of ALL FOUR STARS, which was named an Amazon Best Book of the Month and a Mighty Girl Top Book of 2014 for Teens and Tweens. 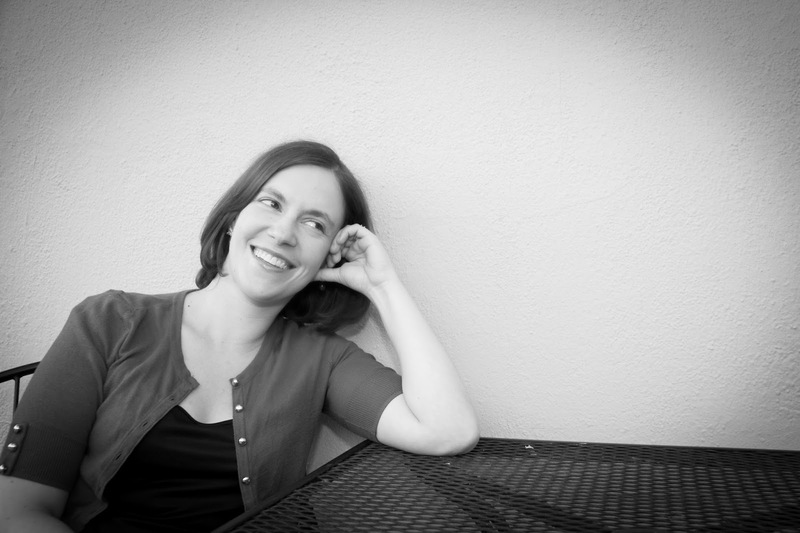 She is also a playwright and recovering world traveler. She grew up in New York and received a B.A. in Creative Writing from Dartmouth College. After surviving the world's longest honeymoon (two years, seventy-four countries! ), she now lives in Colorado with her husband and their trusty waffle iron. Emma: All Four Stars is a book infused with food and recipes. Have you made any of the dishes that Gladys does? Tara: I’ve made a lot of them—and I share recipes for my favorites (and the stories behind them) on my website athttp://taradairman.com/extras/recipes/. There are also recipes in the back of the paperback version of ALL FOUR STARS, which released on April 7! Emma: Did you have to do any research for All Four Stars or The Stars of Summer? Tara: Thankfully, most of the research I had to do for these books involved cooking and eating. :) For THE STARS OF SUMMER, I also relied heavily on my experiences backpacking around the world from 2009-2011. That was how I discovered many of the international variations on the hot dog that Gladys ends up finding around New York City in the book. Emma: Do you have a character you absolutely loved writing? If so, who and why? 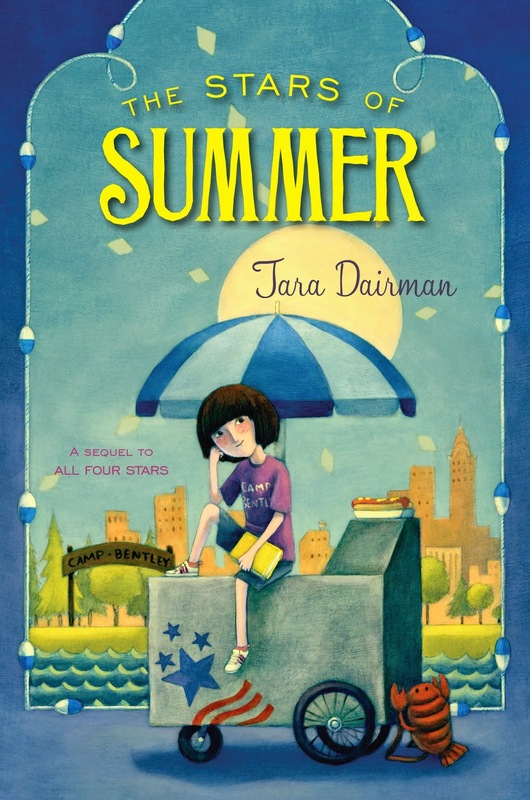 Tara: I always enjoy spending time with Gladys, but in THE STARS OF SUMMER, I had a great time writing Hamilton Herbertson, the self-obsessed celebrity kid author. Writing characters who behave badly is an awful lot of fun, and seeing if they can redeem themselves a bit at the end is even better. I like writing Charissa, too, because she has a lot of layers, and her actions on the outside don’t always match what’s going on internally for her. Emma: I know it was recently announced that there will be a third book about Gladys. Can you give us any spoilers...maybe about the food? Emma: When you're not writing, what do you enjoy doing? Tara: Perhaps not surprisingly, I enjoy cooking. I also love to travel to new places, to see them and to eat the local food. On a non-foodie note, my husband and I are big board game players. As a novelist, I spend a lot of time on my own trying to be creative, so sometimes it’s fun to let my more calculating and competitive side come out. Emma: Have you read any YA and/or MG titles recently that you'd like to recommend? Tara: Oh, where to begin! I’m always reading. Some of my favorite recent YAs are STRANGE SWEET SONG by Adi Rule (a gorgeously-written Gothic mystery set at a music conservatory with a prickly heroine and an unexpected romance) and AUDACITY by Melanie Crowder (a brilliant historical verse novel bringing labor rights activist Clara Lemlich to life). In MG, I adored Nikki Loftin’s latest, WISH GIRL, and Lynda Mullaly Hunt’s new novel FISH IN A TREE. The characters in both of those books are unforgettable. Emma: Finally, my standard question - what's your favorite fairytale? Tara: You know, no one’s ever asked me that before! Can I cheat and say Into the Woods, since that encompasses a lot of them—and, as a bonus, mixes them up? Tara: Thank you, Emma! I had a lot of fun answering your questions! Emma: Thanks so much for stopping by! The Stars of Summer releases in just one week. You can find it and Ms. Dairman at the links below.